How can we create transparent drug pricing? The Center for Medicare and Medicaid Services (CMS) estimates prescription drug spending will grow an average of 6.3 percent annually over the 2016-2025 period. Annual premiums for employer-sponsored family health coverage reached $17,545 this year, up 4 percent from last year, with workers on average paying $4,955 toward the cost of their coverage, according to the Kaiser Family Foundation/Health Research & Education Trust 2015 Employer Health Benefits Survey. The average deductible for all covered workers in 2015 is $1,077, up 67 percent from $646 in 2010 and 255 percent from $303 in 2006 for Americans with employer-sponsored health insurance, according to the report. Drug manufacturers take most of the blame. Prescription drug spending hit $425 billion in the U.S. last year and the total is expected to reach $640 billion by 2020, according to data from IMS Health Incorporated. Enter the role of the pharmacy benefit manager (PBM). PBMs serve as middlemen between health plans and pharmacies with close ties to drug manufacturers, administering drug coverage for nearly 95 percent of all Texans with health insurance. In most cases, PBMs, unseen by patients, dictate drug choice, drug cost, access to pharmacies and prior authorization requirements. In the last several years, PBMs have become more active in drug access and drug expenditures. Today, PBMs' activities often go beyond their original intent and include questionable practices. Frequently, employers, plan sponsors (payers) and/or pharmacies are not made aware of formulary decisions that generate revenue (in the form of rebates) for PBMs. 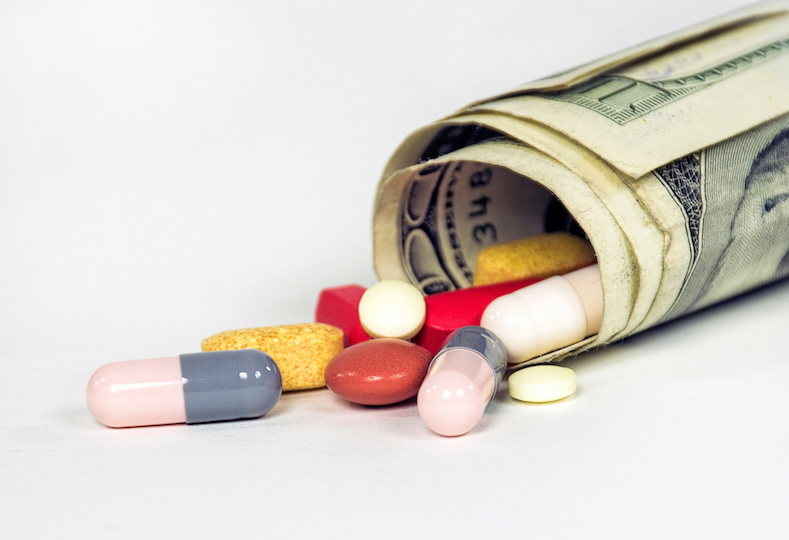 “Rebates” create a perverse incentive to list higher cost drugs on drug formularies. As a result, health plans and consumers pay more for drugs. These and similar arguments are outlined in continuing and settled lawsuits against one of the country’s biggest PBMs seeking $15 billion in damages for what it alleges was the PBM’s failure to renegotiate lower prices for prescriptions. Dr. Robert Goldberg of the Center of Medicine in the Public Interest concludes that nearly $120 billion in rebates and discounts that could be passed along to consumers is being pocketed by PBMs, insurers, and government health programs. On top of that, consumers are paying about $30 billion of the retail price of medicines in the form of out of pocket costs. Texas has taken steps in the right direction. The Legislature continues to react to the lack of oversight, transparency and accountability in the PBM market. Earlier this year, lawmakers House Bill 3218, creating registration requirements for PBMs that contract with HMOs and clarifying PBMs comply with the same laws and rules required of the HMOs with which they contract. Reacting to PBMs arbitrary changes to patient drug therapy, the Legislature also passed Senate Bill 680, requiring clinical and medical criteria of “prior authorization” for prescribed medication. Existing state laws ensure PBMs comply with prompt pay laws, consumer safeguards and registration with the Texas Department of Insurance (TDI) on other insurance-related activity. These measures create needed oversight. Statutory changes give regulators clearer authority, supervision and direction over the business of insurance that includes the administration of pharmacy benefits. These laws assist consumers, providers and payers in the state with growing prescription drug costs. Numerous examples from across the country highlight the need to address other unfair trade practices, including unreasonable provider contract arrangements, gaps in access and quality measures and compliance with laws adopted to ensure comprehensive pharmacy benefit coverage. 1. Formularies using high-cost brand-name drugs. 2. “Spread pricing,” in which health plans are charged more for pharmacy benefits than the pharmacies are paid. 3. Setting arbitrary price lists of products in the market. There are many variables associated with increases in drug cost. Consumers should recognize arbitrary formulary decisions that affect their therapies, understand the impact of co-pays, coinsurance and deductibles on their “out of pocket costs” — and ask their insurance carriers, physicians and pharmacists about changes to both. S.413 and H.R. 1038, the “Improving Transparency and Accuracy in Medicare Part D Drug Spending Act,” which prohibits direct and indirect pharmacy remuneration (DIR) fees from being applied after the point-of-sale for prescriptions dispensed in Medicare. H.R. 1316, the Prescription Drug Price Transparency Act,” which increases transparency in generic drug payments in taxpayer-funded federal health programs and preserves patients’ access to local pharmacies. H.R. 1936, which improves pharmacy choice for seniors and strengthens Medicare Part D through increased pharmacy competition. 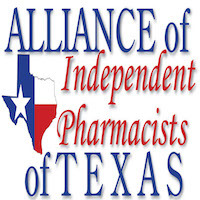 Audra L. Conwell is the executive director of the Alliance of Independent Pharmacists of Texas.